[Update] The surprise bonus announcement is the support for the original Dark Souls on Xbox One through Backward Compatibility. [Original Story] Dark Souls 3, the new entry of the series developed by From Software, is officially launching tomorrow in Japan on PlayStation 4 and Xbox One, with the game only hitting North American and European systems next month. Even though the game’s release details have been shared a while back, it seems like something new may be revealed in the next few hours. Earlier today, Bandai Namco’s Community Manager J. Kartje has warned people about spoilers, in light of the Japanese release, and has teased a special announcement on Twitter. He gave no hint on what this announcement is going to be about, but we won’t have to wait that long to know more about the matter. Even though the game has yet to be released officially in Japan, several have already managed to get their hands on Dark Souls 3. A few players, such as Clancelot360 and QNIQ_K are also streaming the game right now. As these players have been playing for a few hours, they are exploring areas well past what has already been featured in promotional footage, so watch at your own risk. Yesterday, more details on the PC version of the game have come in thanks to German website GameStar. 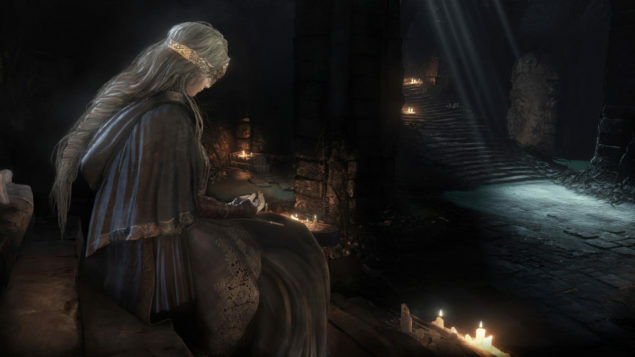 Following the reveal of the first performance details, From Software has revealed the new official PC requirements for the game, which are slightly higher than the previously revealed ones. Two days ago, the full Dark Souls 3 Trophy List has surfaced online, revealing all players will have to accomplish to master the game. The list includes some heavy spoilers for several of the game’s features and content, so avoid taking a look at it if you don’t want to spoil some of the game’s surprises. Dark Souls 3 launches in Japan tomorrow on PlayStation 4 and Xbox One. The game will finally be released in North America and Europe on consoles and PC on April 12th. Dark Souls III: The Ringed City Review – Best DLC in Series?